Gholami SS, Shekarriz B, Rudnick D, Duh QY, Stoller ML. Department of Urology, University of California, San Francisco, San Francisco, California 94143, USA. 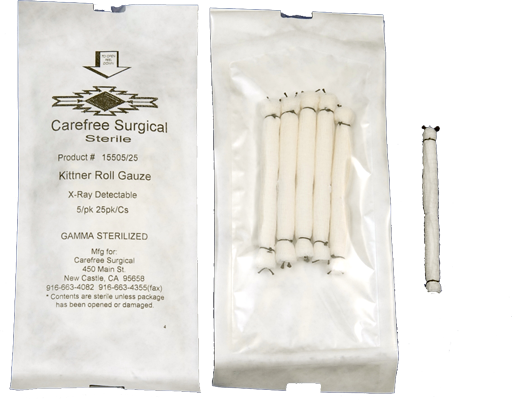 "PURPOSE: Minor hemorrhage during laparoscopic procedures may obscure the operative field. 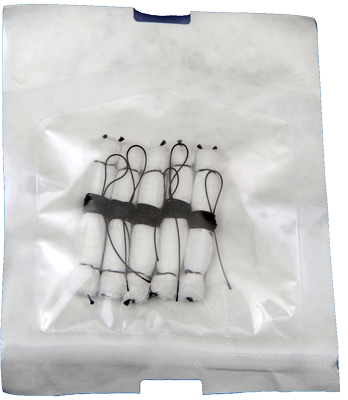 We describe the use of an especially designed, 4 x 4 absorbent sponge for multiple laparoscopic applications. 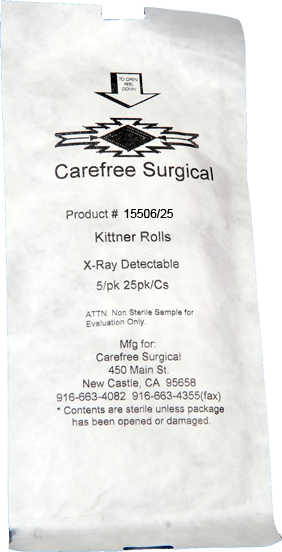 MATERIALS AND METHODS: The cigarette sponge, also known as the Kittner roll gauze, was routinely used for laparoscopic upper tract procedures. The sponge may be placed easily through ports 5 mm. or greater. 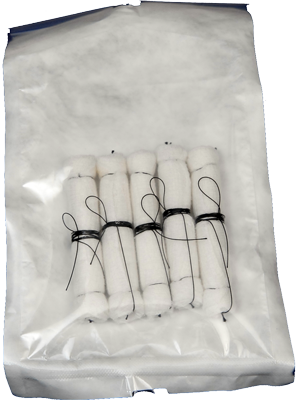 RESULTS: The cigarette sponge was excellent for absorbing minor but bothersome bleeding, facilitating suction and blunt dissection, and assisting with retraction. 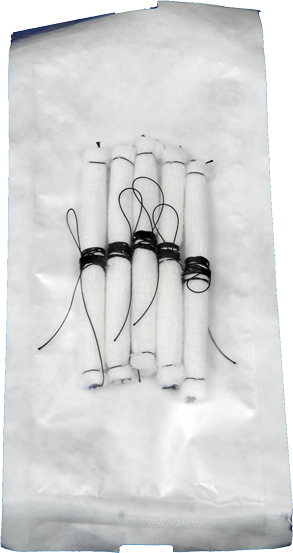 CONCLUSIONS: This especially designed laparoscopic sponge dramatically eases laparoscopic procedures, especially for controlling bothersome hemorrhage and blunt dissection. 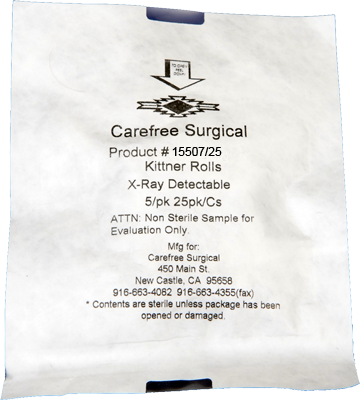 It may decrease operative time and facilitate difficult laparoscopic procedures." 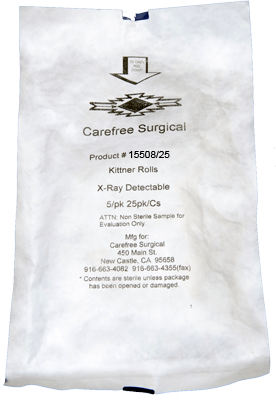 Click here for a short video of a robotic Prostatectomy with Kittner utilization..